FEDERAL MARCA BILLS WILL BE RE-INTRODUCED IN BOTH THE HOUSE AND SENATE IN 2019. The SRPE cooperates with the American College of Radiology, American Society of Radiologic Technologists, & the American Registry of Radiologic Technologists to promote the Radiology Physician Extender. SRPE is a non-profit organization for the RPA and RRA sharing a common bond within the global mid-level radiology profession and medical community. The society holds an annual educational conference with seminars and presentations. The SRPE is an active participant with other health care professionals and organizations to educate and promote the role of the mid-level radiology extender. Our organization is committed to fostering the highest values and promoting superior lifelong success both personally and professionally. Proposed amendments to the SRPE Bylaws will be voted on by Active members at the Annual Business Meeting on Thursday, April 25, 2019. The changes to the Bylaws include style and grammar changes; rearrangement of items for clarity; addition of a purpose and function of the Society; addition of processes for nominations and voting to ensure transparency; addition of committee composition and charges; addition of a definition of a quorum for the Board; addition of processes of making amendments to provide transparency to the membership; addition of duties of President and Past President. Please see the proposed amendments to the SRPE Bylaws before the Annual Business meeting. On November 1, 2018, the Centers for Medicare & Medicaid Services (CMS) finalized a policy in the Medicare Physician Fee Schedule (MPFS) which decreases regulatory burden for the radiology care team. Specifically, the final rule provides that, effective for services furnished on or after January 1, 2019, diagnostic tests requiring personal physician supervision may be performed under direct physician supervision when furnished by a radiologist assistant (RA) either certified as a registered radiologist assistant (R.R.A.) who is certified by the American Registry of Radiologic Technologists, or a radiology practitioner assistant (RPA) who is certified by the Certification Board for Radiology Practitioner Assistants to the extent permitted by state law and state scope of practice regulations. According to Pam Kassing, ACR Senior Economics Advisor, the only thing that can not be billed to Medicare by the radiology practice is procedures (CPT codes 10000-69999) done by RAs on Medicare patients in the hospital setting. However, the RAs can legally practice and do all procedures. The radiology groups and hospitals can bill everything to the private payers. Legislation is still needed for radiology groups to bill Medicare for procedures (CPT codes 10000-69999) in the hospital setting. For proper coding and billing, the radiologist should include in the report-"Procedure performed by (RA's name and credentials) under the (personal, direct, general) supervision of (radiologist's name and credentials)." The SRPE, ACR, ARRT, and ASRT has developed an Q&A document to help answer some of the questions regarding the implementation of the Final Rule. In the Q&A document, there is also a chart describing billing for each practice setting, employer of the RA (group or hospital), and test or procedure. As the SRPE gets more information we will publish additional guidance. See a Document on "Incident to Rules"
20 Years of Excellence. The Future is NOW! The conference is open to all allied health professionals and offers 25+ ASRT approved A & A+ CE credits with seminars on radiologic procedures, radiation safety, patient care, pathologies, ethics, etc. related to medical imaging. Attendees will enjoy dynamic speakers, the SRPE social, open forum, latest trends from industry’s top vendors, networking with other professionals, and all Las Vegas has to offer. SRPE Active and Associate Members get $150 off conference registration and $50 off ACLS recertification. 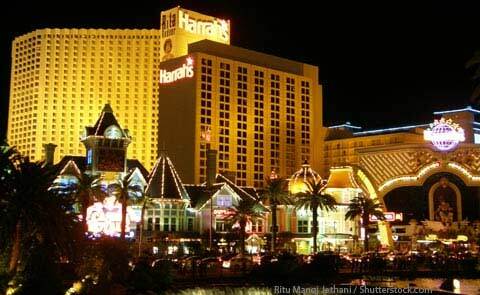 Please be aware the Harrah's Hotel charges a daily parking fee for those who park on the premises. The SRPE cannot validate parking or provide vouchers for parking. ACLS recertification will be Saturday April 27th, 2019. You may register for ACLS during registration or at the conference. 2018 SRPE Compensation and Practice Survey Report is published! The 2018 SRPE Compensation and Practice Survey is published. SRPE members can access the free report by signing in and clicking the link under the member benefits area of the Members‘ Homepage. Reports of annual compensation by filtered by practicing, non-practicing, and overall RA compensation. Reports of annual compensation by employment position and status. Reports of annual compensation based on education level, years of employment, and employment type. Reports of annual compensation filtered by state. Current procedures and patient management activities by respondents. Most respondents indicated the radiology/physician group (39.6%) was their main employer. States with the highest reported mean annual full time compensation for RAs across all current positions were New Hampshire, Kentucky and California. States with the lowest reported mean for RAs across all current positions were Vermont, South Carolina, and Mississippi. Most respondents reported being a RA for 11 to 15 years (37.1%) and in medical imaging for 21 to 25 years (25.1%). Stay informed and make your voice heard.